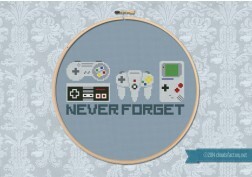 Old school is cool! 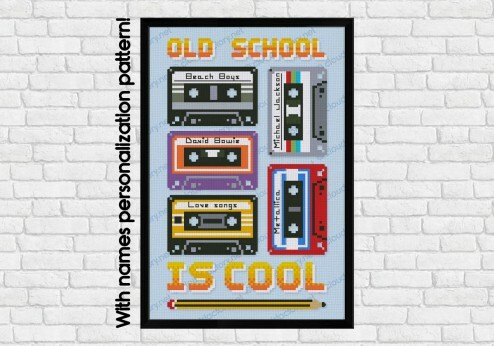 Enjoy the old school music with this personalizable cassettes pattern with rewind pencil included! 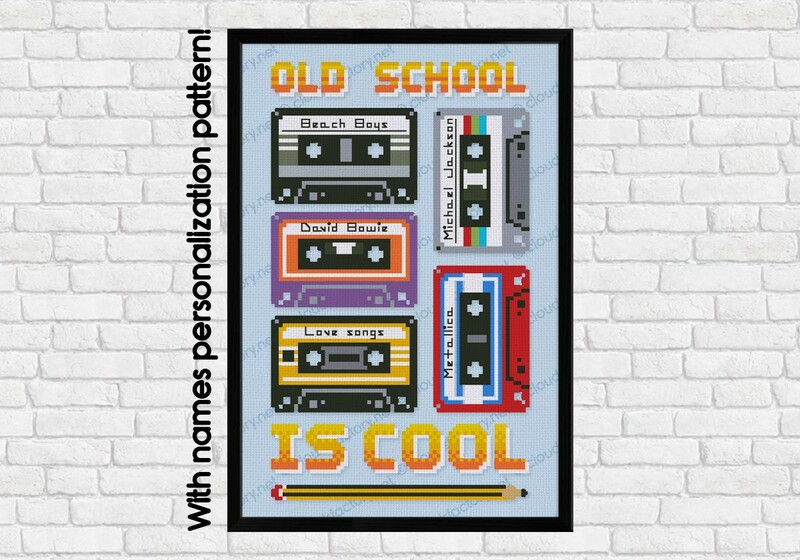 The pattern includes an alphabet and and extra pattern to personalize the cassettes with your favourite bands or albums names or whatever you prefer! 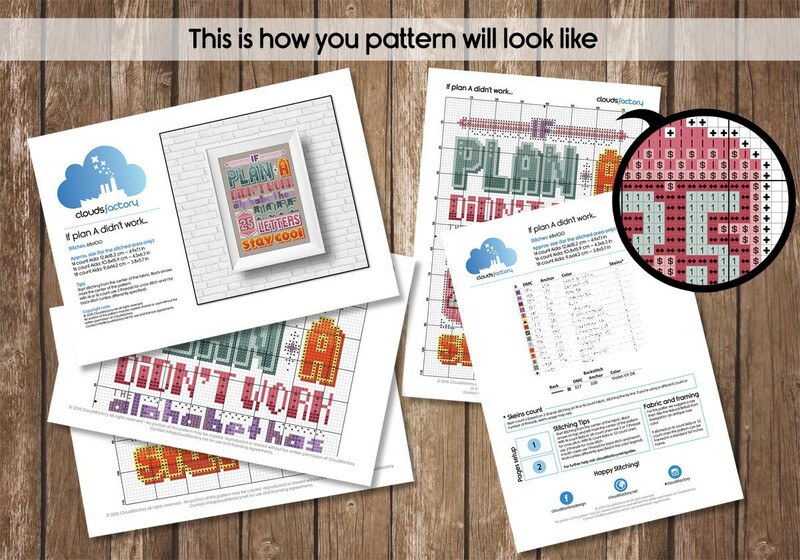 If stitched on 16 count, the pattern can be framed in a standard A5 frame! 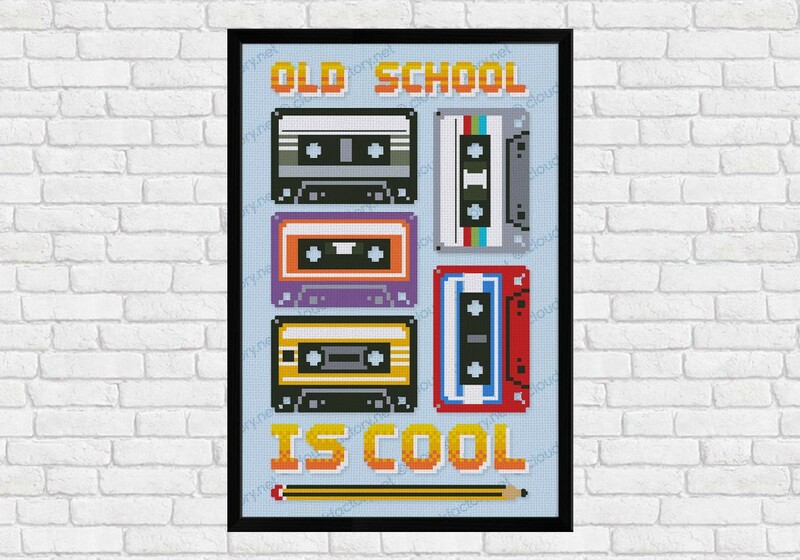 Old School Is Cool - Cassettes, is simply Retrolicious! 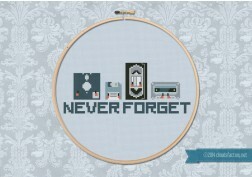 If you grew up in the era of "Mixed Tapes" and rewinding with a pencil, you'll truly appreciate and love this design! I also love the included alphabet so that you're able to create your own cassette labels. I wanted my finished product to look just a little more 80's, so I'm stitching on "Ballerina" Opalescent Aida (for extra fluro pink 80's sparkle!) 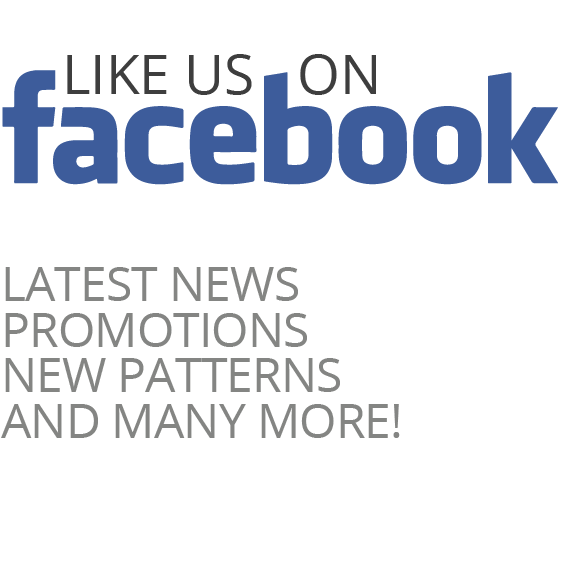 from Sew It All.